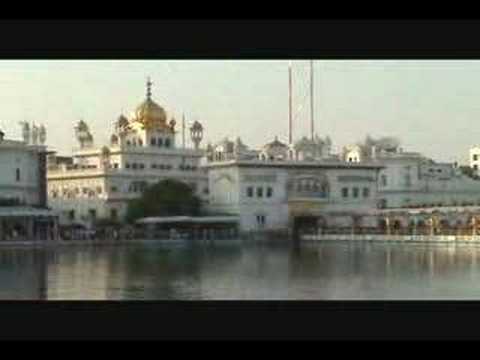 Welcome to Amritsar, the spiritual and religious centre of Punjab. 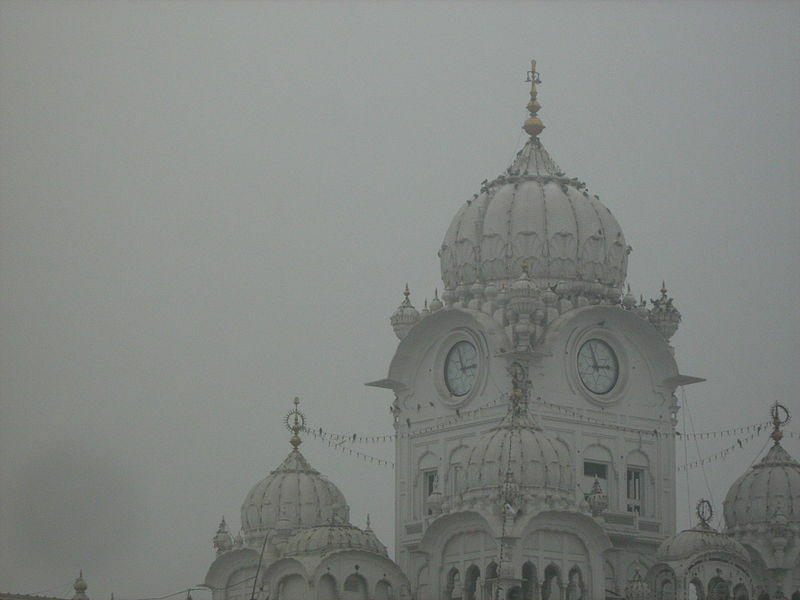 Amritsar was founded in 1577 by Guru Ram Das, the fourth guru of Sikhism. While establishing the settlement, he created a tank of water. His youngest son, Arjun Dev, found the waters of the tank to have healing properties. So he built a temple in the middle of the tank. And the city came to be known as Amritsar or ‘Pool of Immortality’. Over the next few centuries, Amritsar came under attack from the Mughals and Afghans. Peace and stability were restored when Maharaja Ranjit Singh, called the Lion of the Punjab, wrested control of the city. Today, Amritsar is a major commercial, industrial, and transportation hub. It has a number of flourishing industries including handicrafts and knitwear. The carpets and woollen products made here are exported all over the world. The city is also one of the biggest exporters of Basmati Rice. Religious tourism is another contributor to the economy. Amritsar has a rich cultural heritage. Dance, music and literature have thrived here since centuries. The people are warm, hard working and hospitable. Punjabi is the official language but English is widely spoken and understood. No trip to Amritsar is complete without tasting the local cuisine. Do try the Amritsari Kulchas (a kind of a wheat bread) and Makhani Chicken (a chicken gravy made in butter) which are simple delectable. Amritsar has a semiarid climate. Summers are scorching and temperatures routinely touch 45 degrees. Monsoons are moderate and last from July to September. Winters are freezing and the temperatures dip below zero. 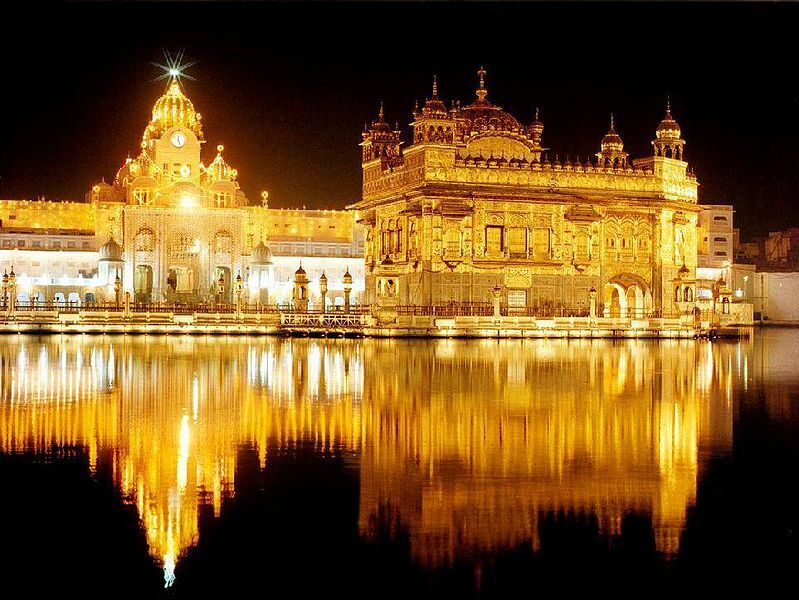 Golden Temple – This is one of the biggest religious sites in India. Each year, thousands of devotees come here from all over the world. The temple is built on a beautiful tank encircled by wide marbled passageways. Devotees wash their hands and feet here before entering the shrine. The temple is topped by a golden dome that was contributed by Maharaja Ranjit Singh. Remember to do the 'parikrama' or walk around the smaller homage sites surrounding of the temple. Jallianwala Bagh - This is a historic monument where 379 people were ruthlessly killed and about 1,200 injured by General Dywer's troops in 1919. Visit the Martyrs' Gallery which serves as a poignant reminder of this heinous crime. 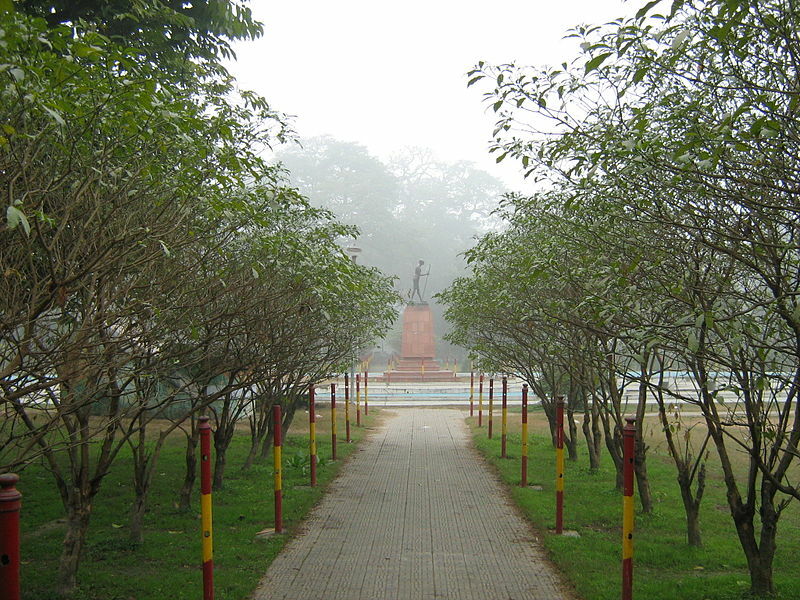 Ranjit Singh Museum – The museum is housed in a sprawling palace with extensive grounds. You will find a wide range of memorabilia of Maharaja Ranjit Singh's time, including some of the finest paintings and prints of the Raj era. Durga Temple - Set within a serene tank, this is a 16th century temple dedicated to Goddess Durga. Within the complex are several other temples like Sheetla Mata Temple, Lakshmi Narayan Mandir and the Hanuman Mandir.